Some half a century before Freud, Hegel suggested that mental derangement (Verrücktheit) is a reversion to the earlier stages of the development of the soul and that it discloses the psychic origins of the mind to theoretical analysis. Freud never quotes Hegel and generally dismisses Hegelianism as the epitome of wild philosophical speculations. Nevertheless, this paper attempts to draw connections between the two thinkers and to read them complementarily. Specifically, I focus on two works that are rarely linked: Hegel’s largely ignored anthropological theory of madness in the third part of his Encyclopaedia of Philosophical Sciences titled Philosophy of Spirit (1830) and Freud’s writings in Studies on Hysteria (1895), in which the psychoanalytic practice and theory emerge while still being free from Freud’s later convoluted metapsychology. 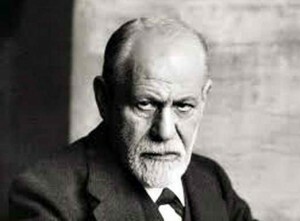 In particular, I address Freud’s insight into the impossibility of establishing a clear border between the healthy and diseased parts of the ego. I claim that Hegel’s conception of madness as a regression to “self-feeling”—an “essential stage in the development of the soul” which is never fully overcome—can give a systematic clarification of Freud’s theoretical (and practical) impasse. Inversely, Freud’s case histories provide excellent illustrations to Hegel’s speculative claims. This entry was posted in Philosophical and tagged Freud, Hegel, madness, sanity on 07/03/2018 by Mary.